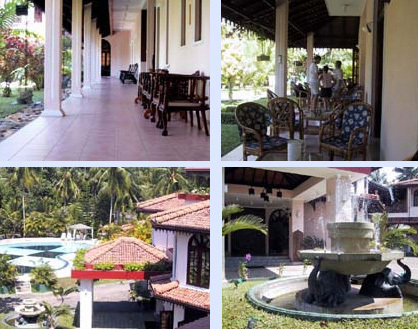 Hotel Address:Villa Ranmenika, Galle Road, Ahungalla, Sri Lanka. 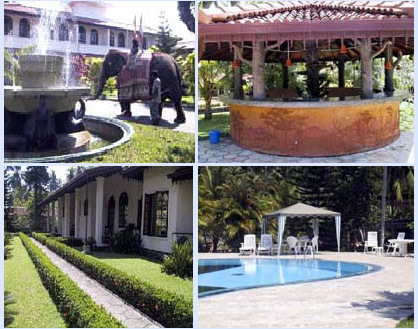 The Villa Ranmenika is located in Ahungalla, about 75 km south of Colombo, and 2.5 hours from the airport of Colombo. The hotel has a magnificent garden and swimming-pool, pool-bar. A place for anyone who is looking for comfort and relaxation in peaceful surroundings on a 3.6 acre land. The Villa offers 11 comfortable double-bed rooms 2 suites. All of them are equipped with air-conditioner, fan, mini-bar, television, telephone ,terrace or balcony, WC hot & cold water and shower. Ahungalla, about 75 km south of Colombo, and 2.5 hours from the airport of Colombo. 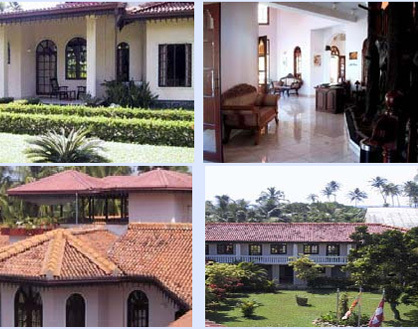 Address Villa Ranmenika, Galle Road, Ahungalla, Sri Lanka.